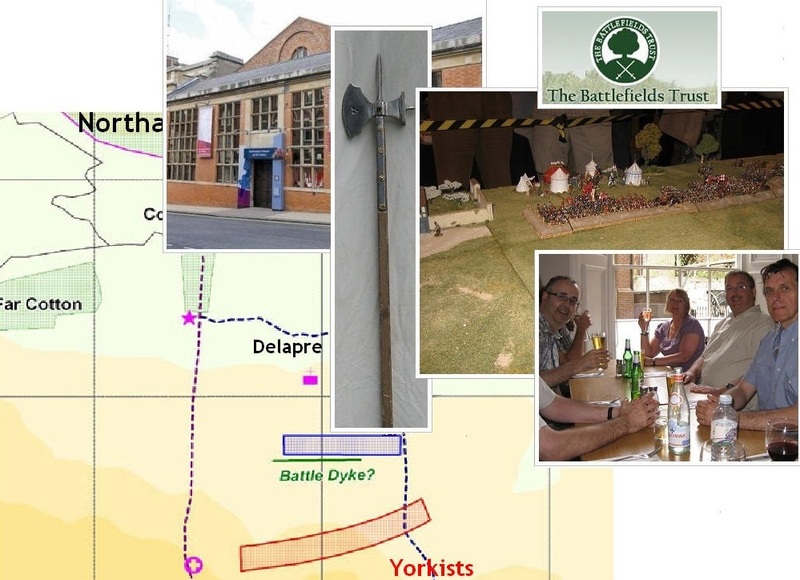 Finally, Glenn Foard wrapped the day up with an analysis of the methodology of locating battlefields, running through the evolution of the Bosworth Project, and comparing where we stand with Northampton - what needs to be done and what is possible. The good news is Dr Foard pronounces Northampton 'doable' despite the gaps in our knowledge and the encroachment of industry and development on the area of the battlefield (especially on the 'traditional' site). Meanwhile, over lunch (I joined the the visit to the the little Italian place round the corner...) there were demonstrations of 15th century armour, and as a display piece, all day, Simon Chick had put up an excellent 28mm figure layout of the battle (very much the 'golf course' theory, of course ... butting the artillery fortification's right flank up to the Abbey and stretching away towards Hardingstone). 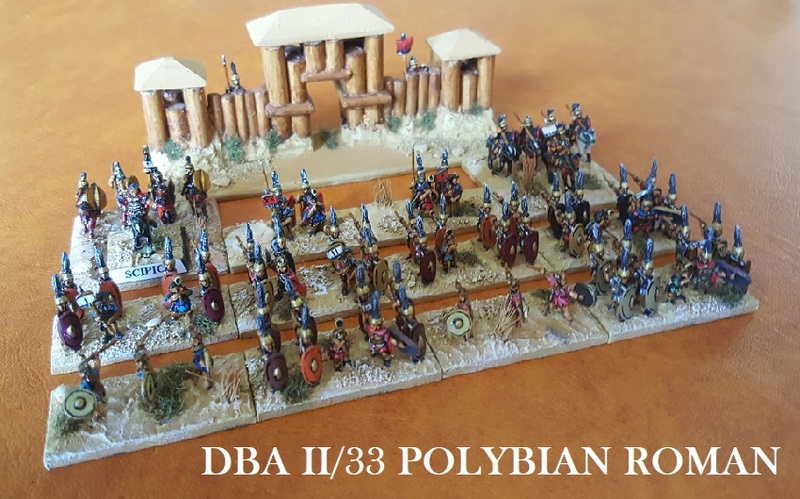 A good prompt and talking point, given the number of wargamers milling around, and a good piece of eye-candy for the other visitors to Northampton Museum and Library (who, otherwise, mostly get boots and shoes). 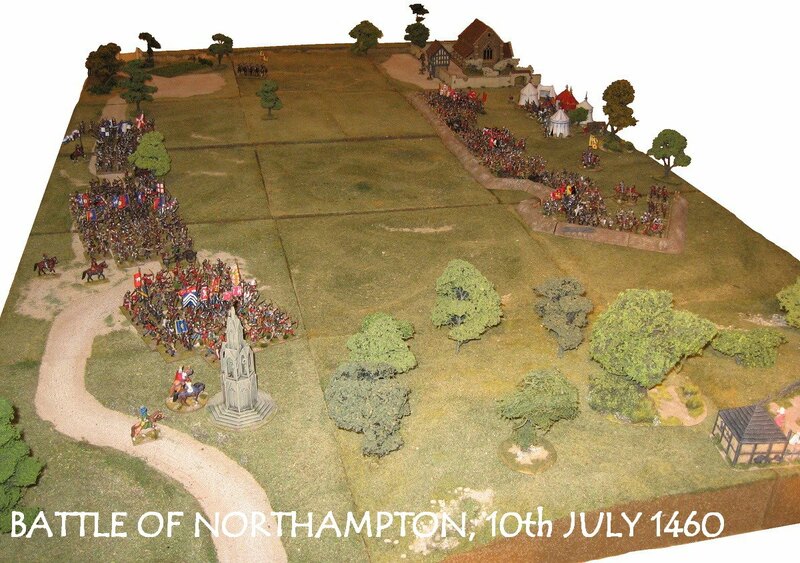 According to the various accounts, the Battle of Northampton was fought in the fields between the Eleanor Cross/Hardingstone, and Northampton; between the cross and Delapre Abbey; with the river to the Lancastrians' rear, with the Abbey to their right, with the battle fought within sight of the cross ... and with the view from the hill on which the cross stands looking into their field works. Since the cross and the abbey are still there, and it seems established that the river has not changed its course substantially, it should be easy enough to plot these various topographical notes and identify where the battle was fought. 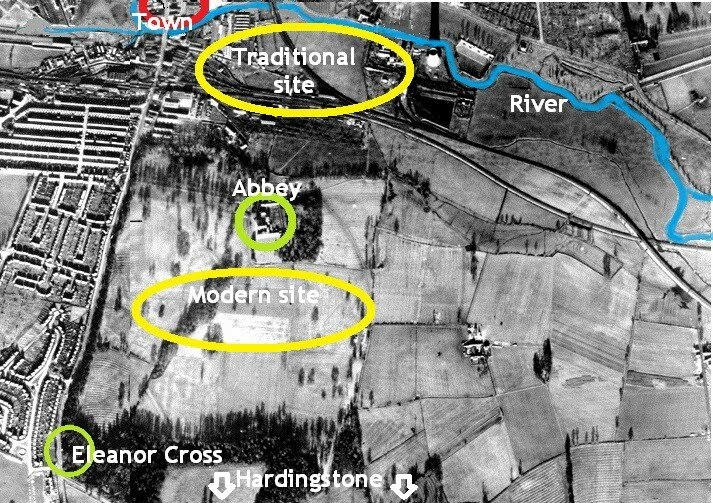 In fact, proposals for the location vary by at least half a mile, there are no verifiable 'finds' to go by, and none of the proposals seems to satisfy all the accounts (the cross is about a mile from the river, so the point looking into the fortification isn't that close to the cross, or the fortification isn't that close to the river). None of this need mean our sources are wrong (though we can never exclude there might be the odd rogue account) ... It was pretty clear, listening to Welsh and Foard, that what the contemporaries meant by their descriptions might not be what we immediately jump to on first reading, and that the names may have changed as much as the topography they describe (i.e. we need to understand the descriptions on their terms, not ours). 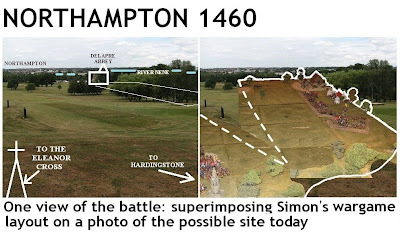 Most of all, of course, we need an accurate reconstructed 15th Century map of the Delapre area south east of Northampton on which to try to fix all this. Although that didn't sound beyond us, no-one had one to put forward. Until all of that is done, we will not be able to tick all the components of Dr Foard's methodology - and most of all, the verification ... survey, dig and find the evidence. So the case of Northampton remains tantalising ... all the descriptions agree that there was a substantial earthwork - the kind that would leave its mark in the landscape if we knew where to look. Until we find that evidence, the speculation is interesting, but just stepping stones in the process. Yes, of course I came away with my own theory. An interesting and potentially important day. Although the meshing of the different disciplines didn't run smoothly at all times, it was fascinating to watch. Events of this sort are regular, and are posted on the events list on the Battlefields Trust website.